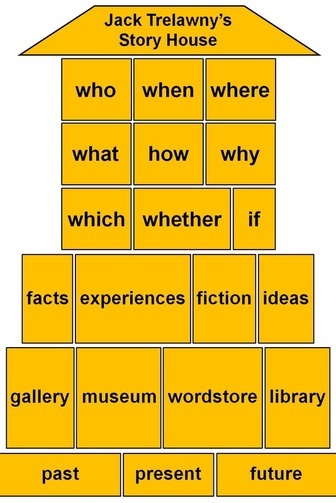 The WHO Room contains 'character' ideas... WHO is in the story? TRELAWNY TIP: Try mixing up two or more characters to make your own. The 'house' starts simply with four 'rooms' for younger children. 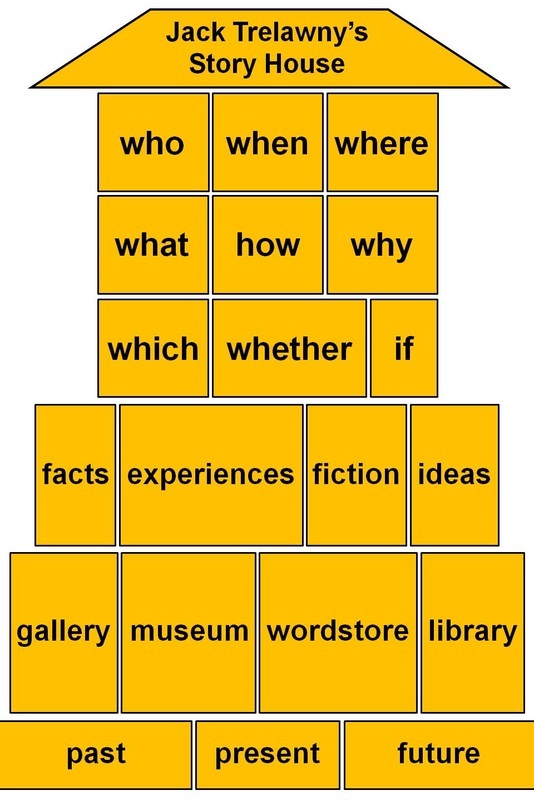 It then grows into complete system, a tower house, which older children can use as a template to build new stories. 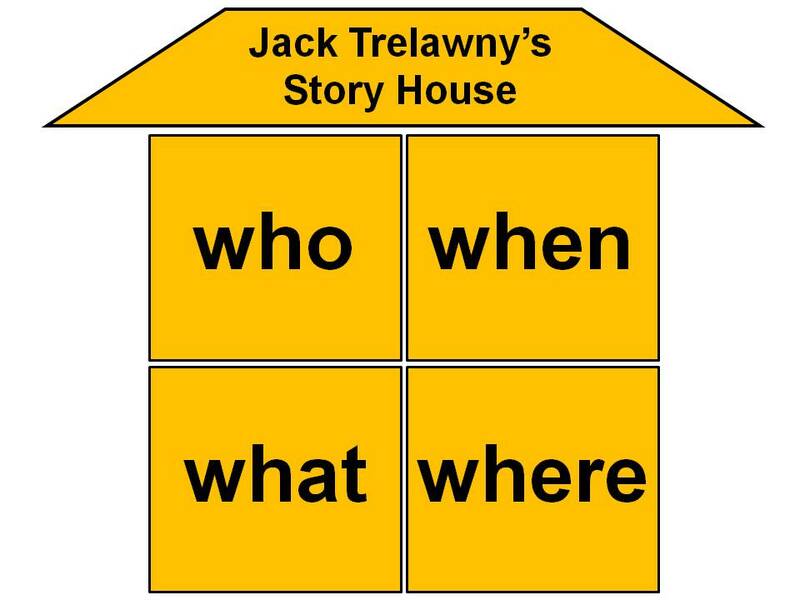 Advanced writers can also use the story house to identify the elements or 'parts' of existing stories.